A mosaic workshop at the Dawson Mall, Mt. 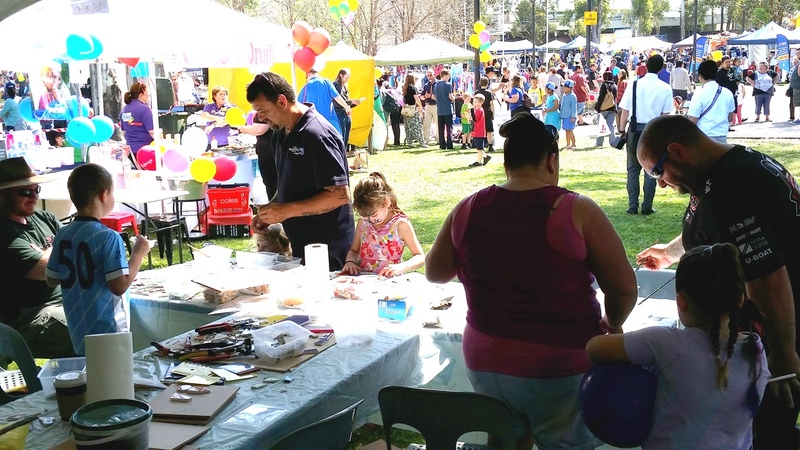 Druitt Festival whilst engaging the public interest, and their ideas, for the Public Art Anzac Centenary Mosaic Mural Project at Mt. Druitt thus commemorating 100 years of Remembrance through their eyes and other local groups. The final artwork placed next to the Hub Library.